Not long ago, tabloids shouted from the rooftops and generated a crazy hype around chatbots. ‘Chatbots are the next big thing’ – flashed loud and bold across every IT report. Articles christened them to be the ‘only future’ for the tech industry. However, the hype soon fizzled out, when people tested chatbots and figured out that conversations with them were robotic. These chatbots mimicked interactive voice responses at best, (Press 1 for help, press 2 to talk to an agent and the sorts) with the bot merely playing back answers based on training. If the user typed in an unrelated question, the chatbot did not know how to respond, because of which most of the bots deployed turned out to be, not so intelligent, after all. They could process only one input at a time, without considering its context to the previous one. The result – Communication breakdown, cumbersome processes, and unhappy customers. Disillusionment surrounding chatbots had more to do with the approach that the tech-industry adopted. Instead of considering a chatbot as the medium to further business needs of customers, people were busy deploying chatbots for more complicated tasks. A chatbot should be human-like and remove the burden of repetitive tasks from humans. It must make conversations seamless and easy, not complicate them further. 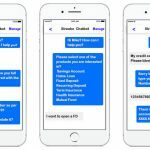 A Chatbot for your business – The Streebo Approach! We felt that a chatbot should help businesses solve customer problems. It should help create wonderful user experiences and, most importantly, be directed towards a goal. At Streebo we had intense discussions and debates on what a good chatbot should do. The answer was simple – a good chatbot should be goal oriented. This means that a client from the manufacturing industry needs assistance to streamline his supply chain efforts, while an airline needs a chatbot that can handle flight booking and customer support. An insurance company does not need a bot that can answer questions about kayaking – unless the client wishes to go kayaking in whitewater rapids in Norway and wants a life insurance. The frequent questions that an insurance chatbot needs to answer are about insurance coverage, premiums and various policies. Simple right? Then why has this not worked till now? 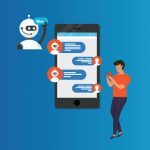 Another simple answer – Users frequently ask unrelated questions and unfortunately, bots do not know how to handle them. Conversations in the virtual world are full of digressions. Bots often lock the user in repetitive dialogs, when it encounters ambiguities or unrelated queries. And that leaves the user with a bad experience. So, what do we at Streebo, do differently? We thought of chatbots as a medium to fulfill business needs. We strongly believe that chatbots should help businesses in solving a problem. Not only that, we backed a human-like approach while designing bots and their conversations. The next obvious question was: How? We leveraged IBM Watson Assistant to help businesses build a personalized AI assistant. The digression capabilities of Watson Assistant allowed the user to leave a dialog node in the middle of a conversation and return to it later. It also provides the user an option to quickly get out of a conversation and utilizes the best predictive parsing and fuzzy matching to eliminate the possibility of misunderstanding and ambiguities. The chatbots we designed were device and platform agnostic. This means that it can work equally well on the web, as it does on mobile and across all other platforms. Chatbots are also, to employ the over-used phrase, ‘highly available’. In fact, they better that. They are ‘always’ available. 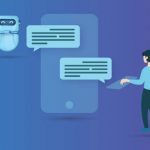 Chatbots can effectively manage concurrent conversations at any point in time. Additionally, Streebo used an automated chatbot builder which helped build easily modifiable conversation flows. 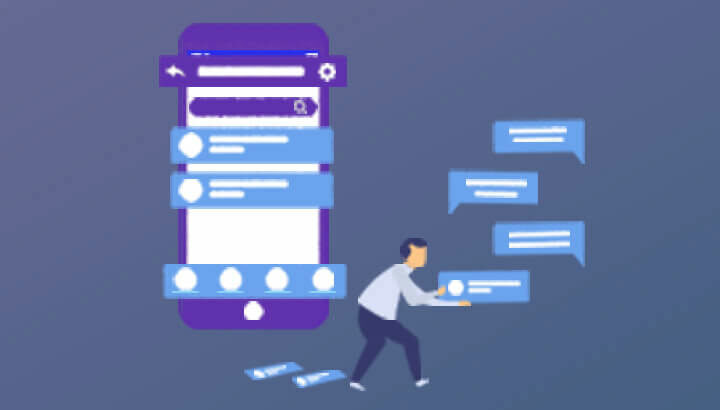 Now it has also become very easy for enterprises to digitize their existing array of forms and hand over the form filling support activities to the chatbot. Ask the right questions before you start building a chatbot and keep your efforts goal oriented. This is the best time for businesses to deploy chatbots and streamline processes. Get in touch with our Chatbot development experts for enterprise-grade and industry-specific chatbot requirements.